Thank you! Was pulling my hair out how to fix this! Thank you. Saved my whole day. You truly deserve a medal for this. Thanks so much. I had a dead server and was about to restore from backup. Bad one Microsoft, great one you! Dude, I could kiss you. Microsoft has no idea about this issue. We spent many days talking with different engineers, so called. But you helped us get past a terrible spot. You can make this a bit easier by just changing the “Microsoft Exchange Active Directory Topology Service” to manual (or disabled). Most Exchange services depend on this, so they won’t start without it. Thank you for your hint!!! Great blog and tip. Saved me a lot of time and stress. Also, for those running Exchange in High Availability mode use the Failover Cluster Manger console to set your delay start time and to console into Safe Mode. Using the Hyper-V Manager for my Exchange VM wouldn’t work. Just encountered this issue, your fix worked like a charm (Ex 2016 RTM & CU3 VMs, 2012 R2 Guest and 2016 Host). Thanks from Germany. Problem solved!!!! You are the man, Simon of Slovenia. Note to others: In both instances of this issue, after going to safe mode you will initially get a message about uninstalling updates that will restart the server. You’ll then have to go into Safe mode AGAIN to get into windows. Also, as others have said you jjust need to disable the active directory topology service. Thank you so much. This was a resume generating event for me. Until I saw this post. I was wrestling with this issue for 5 hours. This fixed it in 30 minutes. (Ex 2016 RTM & CU3 VMs, 2012 R2 Guest and 2012 R2Host). 25/03/2017 – These instructions are spot on! An absolute dream! Thank you! Spot on. Thanks very much for posting this. Thank you too. This affected one of my customers. Wonder if this is a common issue for people with Exchange on Hyper-V or just in specific cases??? Thanks you for your share. You Saved my day. You can’t imagine. GOD Bless you. Thank you very much, saved my afternoon today! Thanks a lot i saw myself already using my backup. Life saver tip! Thanks it worked Great Solution . Tried several times but it did not work for me. I always end up with the infamous “getting Windows Ready”. I love the internet for people like you. You made may day, thanks! 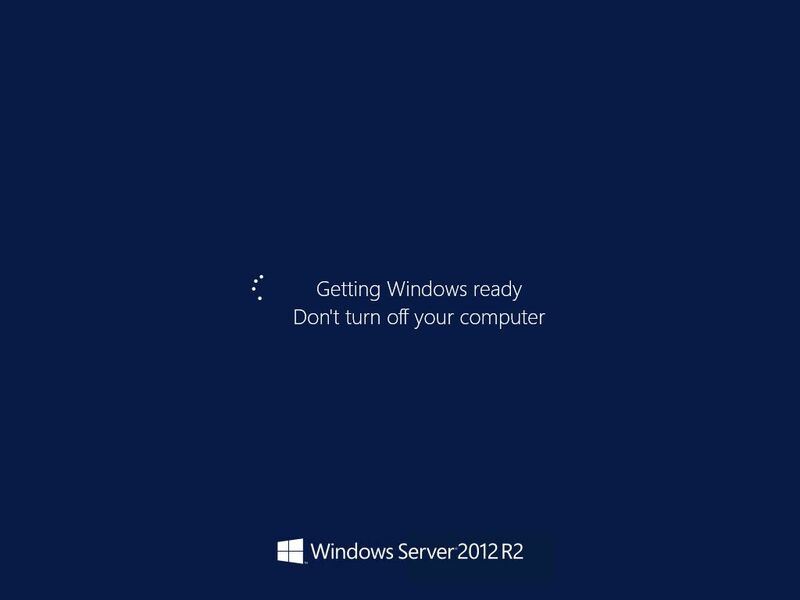 But my server (2012R2+Exchange 2016) could recover after two power-offs from VMWare as preparation to boot from DVD. You saved my weekend thx a lot ! Thanks for this – hard to believe MIcroshaft would allow an update to cause so much trouble, keeps us all in a job eh!! on fully pached system all the updates (including KB3063109 – wich sems to be the problem) were installed with no problem. on another system, we got unresponsive exchange server with lost internet connection. after moving VM to a pached node, it works. Just had this problem after upgrading the hyper-v host to Windows Server 2016 (from 2012 R2) and upgrading the integration services afterwards (so that production checkpoints could be used). The exchange 2013 machine (running on a 2012 r2) started, but exchange wouldn’t work. Restarts failed completely afterwards. Your solution did it: restart in safe mode, disable the service, restart, and there it is again! February 11 2018 and they still haven’t fixed this issue! Thanks a ton. Worked like a charm. Was scratching my head as none of the other techniques were resolving the issue. Adding the boot commands so I could enter safe mode helped so much to get a Exchange box back that was stuck on a bad update. Was able to get in with safe mode, delete out my SoftwareDistribution folder, and reboot. It killed the update and got me back up and running and now I see three updates that didn’t install and I know the problem is one of them. i’m stucked with updates, and with this hint, i get all updates running and the system as well. Saved me hours. Thank you so much!!!!!! !